MARGARET MERRITT: Printmaker and Papermaker - Let's Go! This stylized figure strides purposefully toward her next adventure. 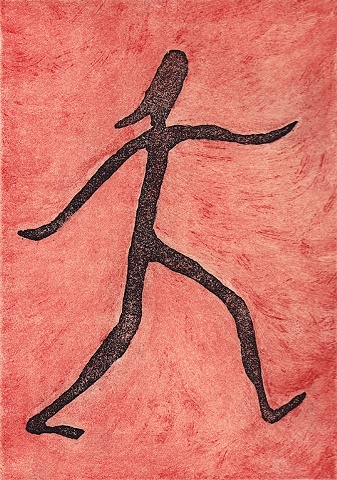 This figure was printed from one plate over the textured background from a second plate that had been made using a soap ground resist with aquatint.